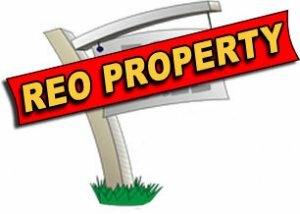 REO property (real estate owned property) are properties that go through a repossessing process instigated by the lender due to default by the borrower-owner. These properties are usually bought through a mortgage loan offered by a lender (usually a bank). These properties are then foreclosed by the lender and go through a foreclosure auction but are left out due to lack of bidders or maybe the price of the product is too high. REO’s are the favorite fare of those who are in the business of buying homes in San Antonio and selling after they have fixed it. They do this for a profit. Since owning foreclosed homes are not the business of lender banks, they surely want to dispose of these REO properties ASAP. This is the main reason why you will find many lender banks offering good terms on these REO properties such as the incentives of special deals, ideal financing terms, an allowance for repairs and much more. Some banks sell their REO properties at a price that is 30% less their real value. Appliances are sometimes included in these deals. REO properties are usually difficult to sell even to the foreclosure auctions. As a result, a skilled investor will try to make it more difficult for the banks by avoiding foreclosure auctions. This will impose pressure on the bank to such an extent that they will dispose the property at higher incentives than usual. Most house flippers make a killing when dealing with REO properties. If you are buying a home for the first time and also having a tight budget then buying an REO property can be the best option because these properties are available at the rate below the market rate. 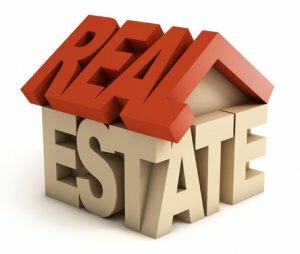 How a property becomes Real Estate Owned? If in an auction no bidder agrees to bid above the bidding price then the auction ends without making sale. The foreclosed property will not be successfully sold in such an unsuccessful auction and the ownership of the property will be transferred to the bank or the financial institution that approved the home loan of the homeowner. This way a property becomes REO. The calculation of the bidding price in an auction depends on the loan balance. If a property is not sold then there could be many reasons for the unsuccessful sale. If the bidding price is fixed more than the market value of the home then the bidders will not agree to bid and the auction would close without making sale. 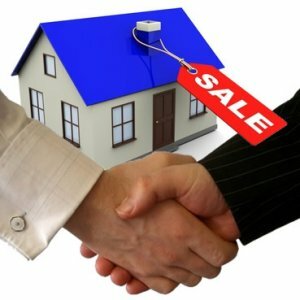 If there is any dispute regarding the ownership of the property then the bidders will not risk their money and the auction would close without making sale. There are mainly two types of the REO properties, Bank owned REO and the VA and HUD. The bank owned REO costs more than $50,000 to the bank. A buyer can offer 70-80% of the total mortgage loan balance to the bank. The banks will accept the offer to sell the properties below the appraised value because the banks also want to remove the entries in the books by reducing the inventory level. If a buyer or an investor comes across such an offer then he or she must not miss this opportunity. The buyer must offer the bank without wasting any time because it is possible that if a property is in a good location then its demand may increase and other buyers may bid more than the asking price. VA and HUD are the foreclosed properties for which the loan was guaranteed by the FHA or VA. The investors will be allowed to bid on these properties only if no bid came from a buyer who wants to use the property for the residential purpose. These properties can be sold to the house buyers at the rate that may be less than half of the market value. An investor can benefit from these deals only if he has maintained good relationships with the bank asset managers and the REO agents so building relationship is an important part of this business. Why do the banks sell at the lowest rates? The main job of the REO companies is to look for the available bank owned properties and contact the owner to purchase. There is high profit in these deals because the banks sell their ownership at the lowest rates. The banks sell at the lowest rates to save their expenses involved in the maintenance and also to generate quick cash. How Are Properties Bought and Sold? Preclude properties capture headlines in the news based on real estate matters and the investors start approaching the lenders, banks or financial institutions to get their quotes. The investors then make a buying and a selling plan to buy and sell these properties. After the home buyers have purchased the bank owned property, they can develop it for resale or keep it for their own use. So the overview of such companies is that these companies purchase the properties from the banks by paying the price that is much less than the market value, repair the damages if there are any damages and then resell to earn high profit. What has encouraged more companies to join this business? High profit to the buyers has encouraged more real estate companies to start buying and selling of REO properties. Too many properties in the books of banks have motivated many real estate professionals to start a company for buying and selling the bank owned properties. You can also be the one to stand in this line if you have enough fund to invest and the knowledge of the basics of the real estate market and the knowledge of the REO concept. Want to sell your home to an ALL CASH BUYER in SAN ANTONIO? Call us at (210) 547-7505 and get that offer quickly!